TfL trialling new ‘Please Offer Me A Seat’ badgeThe Morgan Arms: A quiet relaxing pub hidden away from the bustle of East LondonEnjoy 2-4-1 cocktails at Balans Bars across London with this exclusive deal! Ah yes, that massive red metal thing in the Olympic Park now has a new scary thing to try. After causing headlines during the Olympic for it’s odd composition, the ArcelorMittal Orbit then installed a helter skelter slide and if you’re already bored of wizzing up and down, there’s another reason to return. There’s a new adrenaline-charged Olympic Park activity to enjoy whilst we savour the last few days of summer. You can now abseil down the 114.5-metre high sculpture. And, unlike going down the slide, scrambling down the sculpture will give you the opportunity to take in the epic views. Living close to the Olympic Park you sometimes forget the wonderful celebration that 2012 was, and being that high up in the sky will definitely give you some thinking time. If you decide to take on the challenge, you’ll have an on-the-ground safety briefing beforehand then ride the lift all the way to the top viewing deck so you can take in the panoramic views, then you’ll be hoisted over the edge to make the long journey down. It’s been a popular choice for many raising money for charities already, with quite a few videos on YouTube of those braving it. However, the activity doesn’t come cheap. 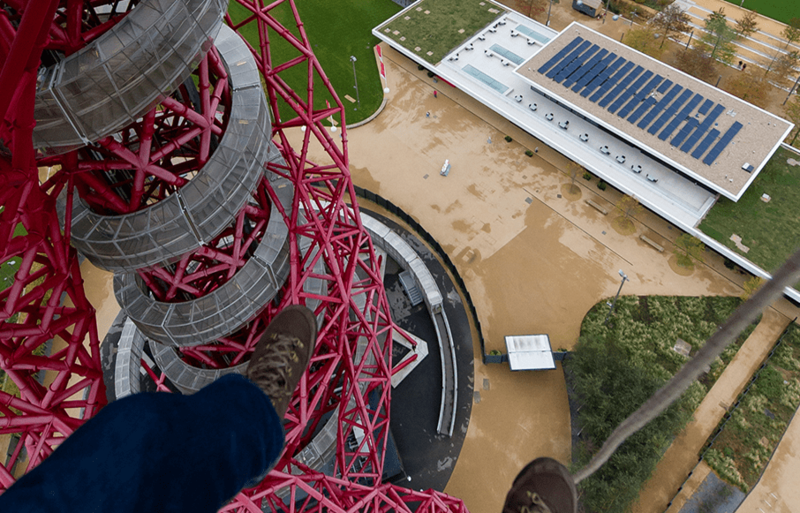 Unlike a trip to The Shard Viewing Gallery you can abseil the Orbit for £85 per person and if you want to GoPro the experience, it’s an extra £30. 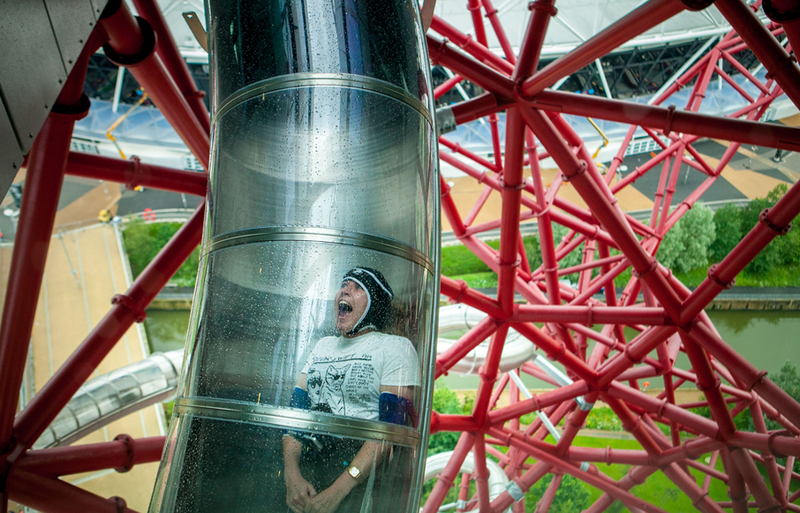 Book online at www.arcelormittalorbit.com or on 0203 198 0407.